Super stoked to finally see Henry Cole tonight at Cornelia Street Cafe playing in a Trio featuring Adam Rogers on Guitar & Joe Sanders on Bass. I first heard Henry Cole & the Afro-Beat Collective live on NPR while driving home around the time the album came out and immediately purchased it on iTunes. Henry Cole’s playing is very inspiring to me in terms of trying new things and expanding on the world of “technical music” with different cultural approaches. 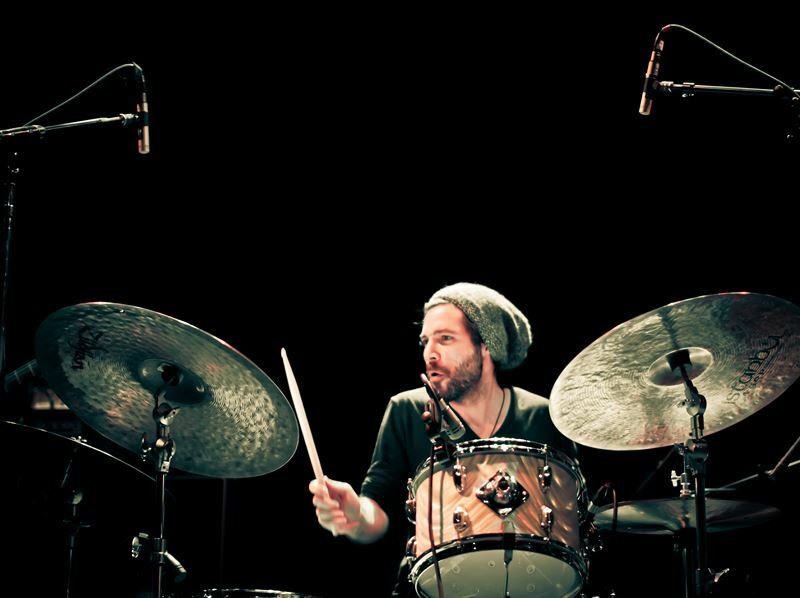 Drummer Henry Cole is at the forefront of a growing wave of jazz innovation and cross-cultural rhythm in the 21st century. With his flexibility, grace and sheer power behind the drum kit, he has proven indispensable to the sound of some of the world’s most acclaimed jazz groups, including the Grammy-nominated Miguel Zenón Quartet (Awake, Esta Plena, Alma Adentro]), Grammy winner David Sánchez (Cultural Survival), the Alfredo Rodriguez Trio, and the all-star quartet “90 Miles” featuring Sánchez, Stefon Harris and Nicholas Payton. Henry is also asserting himself as leader of the Afro-Beat Collective, which released its debut album Roots Before Branches fall 2012 in the United States. Drawing on the raw groove and momentum of Fela Anikulapo Kuti as well as the depth and complexity of modern jazz, Henry strives with the Afro Beat Collective to integrate all his varied influences, including Puerto Rican folklore, funk and R&B, jazz and Afro-Caribbean rhythmic traditions.